Scoop coater is a must-have tool for proper application of all direct liquid emulsions. Our coater is one of the most price competitive and best designed emulsion scoop coaters in the screen printing industry. They are made of durable aluminum with plastic end cap guides, designed for easy and comfortable handling .The coating angle is designed on a perfect angle to coat a emulsion layer evenly and uniformly. It's calibrated to give a smooth coating of emulsion every time. Scoop coater is a must-have tool for proper application of all direct liquid emulsions. 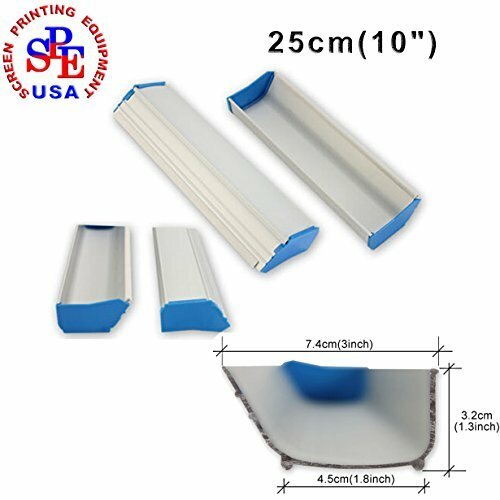 Our coater is one of the most price competitive and best designed emulsion scoop coaters in the screen printing industry.